Christians should be constantly reading two texts: Bible and culture. And more than any other form of media, movies transmit the cultural values of our day. 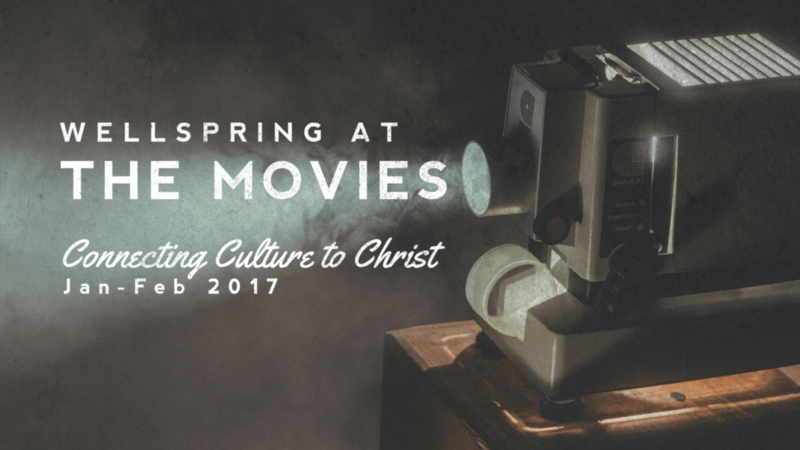 That’s why for the 5 weeks during Jan-Feb 2017, Wellspring goes to the movies; see it during the week and then on the Sunday we’ll reflect on each film’s themes and with Scripture, to discover how Christ completes its message and to equip us to talk with our friends. To be mindful of keeping costs down, the list below reflects both cinema & DVD releases. Please note: In encouraging this kind of cultural engagement, Wellspring Anglican Church does not endorse the content of these five films. Under God, we trust you to exercise discretion and wisdom, especially when making decisions about accompanying children to such films.